When the Chetco was recently threatened by a proposal to dredge mine more than 24 miles of its bed, Senators Wyden and Merkely and Congressman DeFazio quickly introduced protective legislation and asked the Forest Service to segregate the area from new mining claims and to advance an administrative withdrawal in-aid-of legislation. As a result, nearly two years ago, the river was temporarily segregated and closed to new mining threats. Last winter, the Forest Service officially recommended a 5-year administrative withdrawal, and in late May, the Oregon state BLM director signed that recommendation and forwarded it to Washington D.C. for a final signature by the Secretary of the Interior. The deadline for the Secretary's signature is fast approaching --July 31. 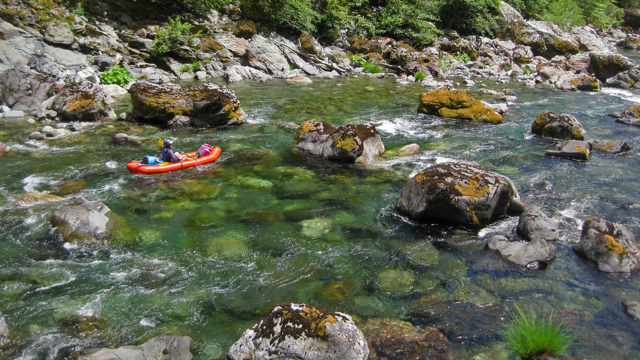 Just this past week, when the urgent administrative withdrawal was unexpectedly delayed, the Oregon delegation once again stepped in to support our Wild & Scenic Chetco River and sent a letter to Secretary of the Interior Sally Jewell. "Without prompt action, the existing withdrawal will lapse on August 1, 2013, and miles of the Chetco River will be open to mining and the location of new claims. This outcome would be devastating to the world class salmon habitat, the local sport fishing economy, and taxpayers who would bear the burden of any validity determinations or government buy-backs of the mineral estate." "Withdrawal protections for the Chetco River are an issue we have actively and repeatedly supported. 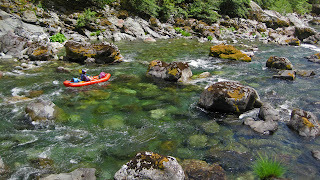 In each of the past three Congresses we have sponsored legislation that will withdraw portions of the Chetco River from mineral entry and upgrade Wild and Scenic Designations of other portions to ensure long term protections for this important river. In this Congress, the Senate Energy and Natural Resources Committee unanimously passed the Chetco legislation as part of the Oregon Treasures bill. Failing to extend a five year withdrawal in aid of this legislation is an unnecessary and avoidable setback in our push for final passage of this legislation." 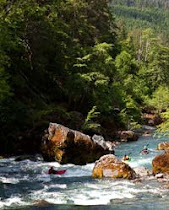 Supporters of Wild and Scenic rivers certainly appreciate the abiding support of Senator Wyden, Senator Merkely and Congressman DeFazio for the Chetco. We hope that, with their strong support, we'll soon be able to report that a 5 year administrative withdrawal for the Chetco is firmly in place.